Prime Day technically starts at 3pm EST, but Amazon is already rolling out the bargains. Today only, get the Echo Dot (2nd Generation) 2-Pack (Black and White) for only $49.98. You’ll be saving 50%. This is definitely the lowest price I’ve seen on the Echo Dot! 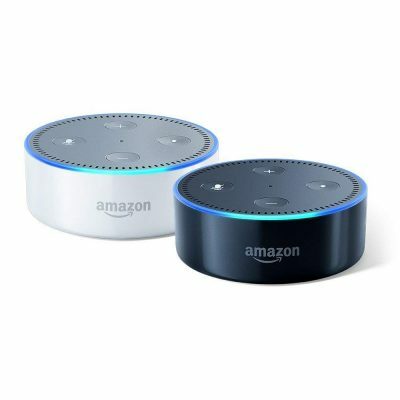 Contains two Echo Dot (2nd Generation) smart speakers; one in black and one in white. Echo Dot (2nd Generation) is a hands-free, voice-controlled device that uses Alexa to play music, control smart home devices, make calls, send and receive messages, provide information, read the news, set music alarms, read audiobooks from Audible, control Amazon Video on Fire TV, and more.